We’re fully entrenched in winter and that means puffy coats, warm gloves, and thick scarves. 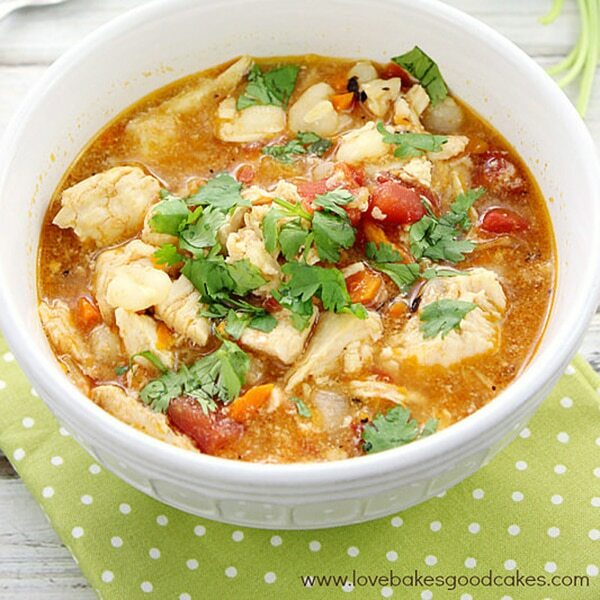 Of course, my favorite way to warm up is a cozy dinner made easy in the slow cooker. Nothing beats coming inside from the icy wind to discover dinner is already done! 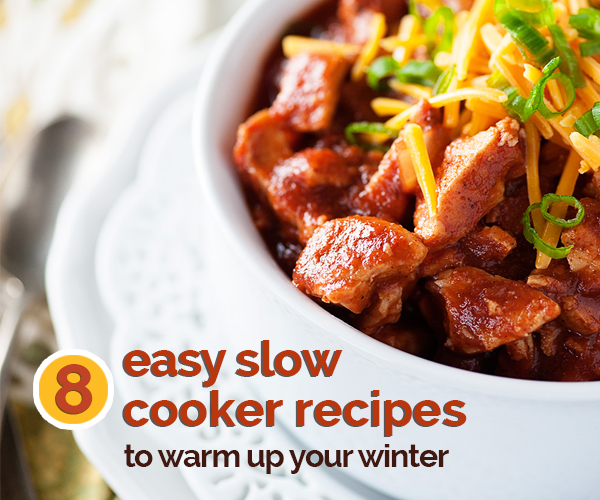 With these seven easy slow cooker recipes you can immediately warm up with a hot meal once you get inside. So peel off those mittens, hang up your coat, and have a seat at the table! 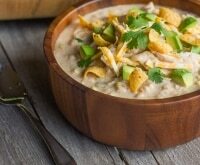 If you’re short on spare time, these slow cooker appetizers, Crock Pot soups, and delicious slow cooker chicken recipes will heat up your home with hearty, tasty food! 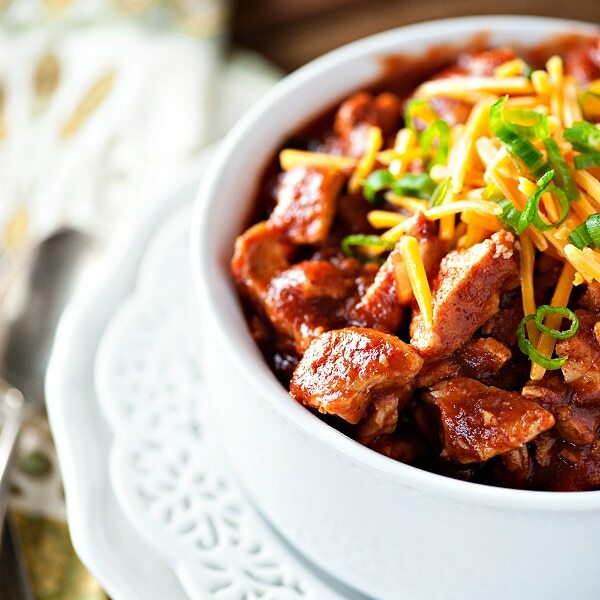 My Pork Chili comes together quickly with a pork loin and your slow cooker. 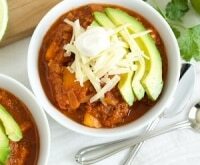 I like to top my chili with sour cream, cheddar, and green onions for a fully loaded bowl of goodness. Slice the pork tenderloin into 4 equal sized pieces. Set aside. Heat a large skillet over medium heat and add half of the oil. 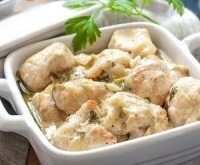 Stir in the onions and cook until softened, stirring often, about 5 minutes. Stir in the garlic, chipotle chile, adobo sauce, chili powder, cumin, paprika, and salt. Stir to coat the onions and cook for 1 more minute. 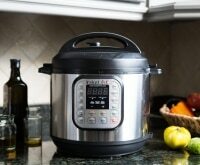 Remove the vegetables and spices to a 5-quart slow cooker set to low. 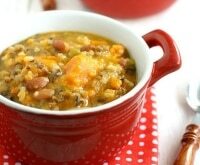 Add the crushed tomatoes, tomato sauce, and beans to the slow cooker and stir to combine. Add the rest of the olive oil to the pan and turn the heat up to medium-high. Sear the large pieces of pork on all sides. Place the pork in the slow cooker and stir to cover the meat in the sauce. Cover and cook on low for 7 hours. 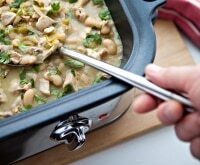 Remove the pork pieces from the slow cooker using a slotted spoon and place on a cutting board. 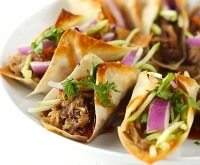 Use two forks to shred the meat or use a knife to cut into bite sized pieces. Return the pork to the chili, cover, and continue cooking for one more hour. 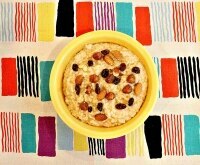 Serve with grated cheddar, green onions, sour cream, crackers, etc. 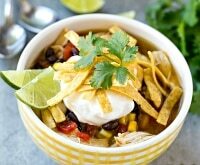 I’m a huge fan of those take-out burritos, but the fact is that, not only are they expensive, it’s just too cold to get out of the house right now! 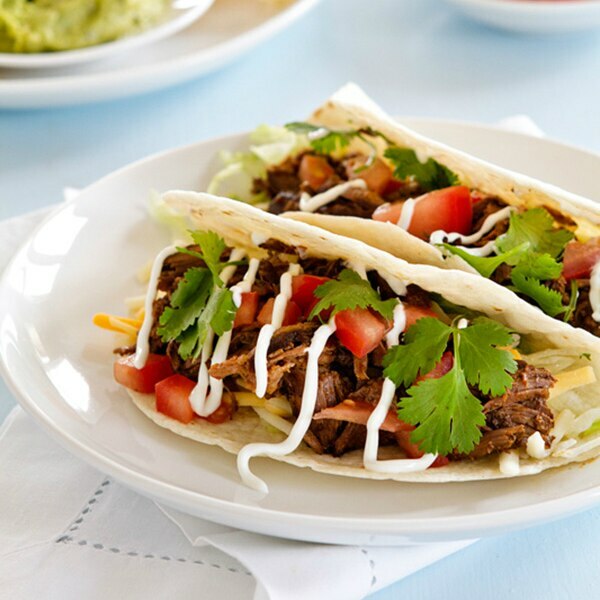 I’d much rather stay indoors with the slow cooker working it’s magic on this copycat “Chipotle” Barbacoa! Gather up your tomatoes, enchilada sauce, hominy, and chicken and dump it straight into your slow cooker! 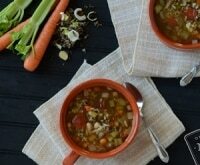 Hours later you’ll have a zesty soup to warm the soul. 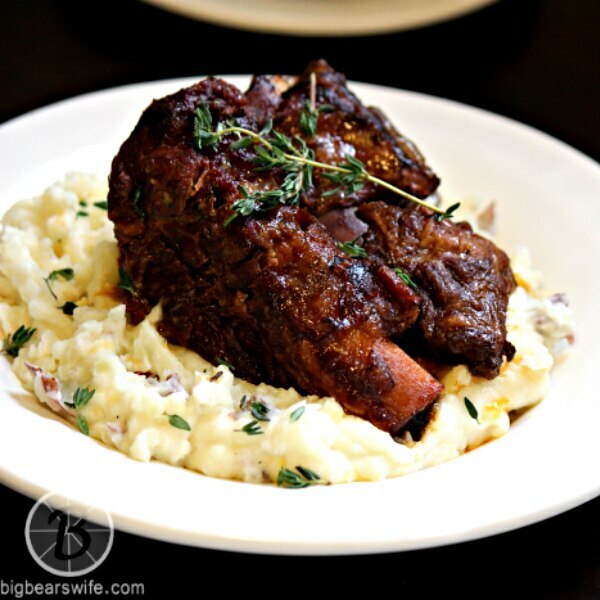 These braised short ribs are an excellent way to stock the freezer. Whip everything up and place in a freezer bag. 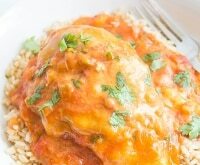 When you’re ready to start dinner, just dump the contents of your bag straight into your slow cooker for a meal that will taste like you slaved away for hours. Pasta in the slow cooker? Absolutely! 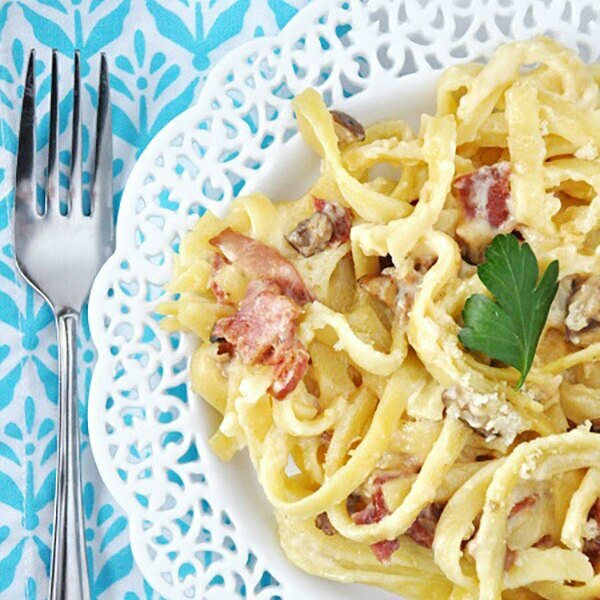 This one is coated with a creamy gouda cheese sauce and tossed with bacon and mushrooms. Who could resist this on a cold winter’s day? It’s January and that means we’re all watching what we eat. 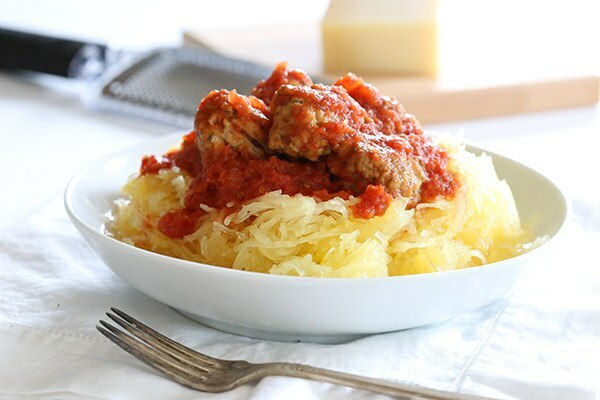 This recipe takes a classic favorite and puts a healthy spin on it with spaghetti squash in place of pasta for a low carb dinner even the kids will devour. 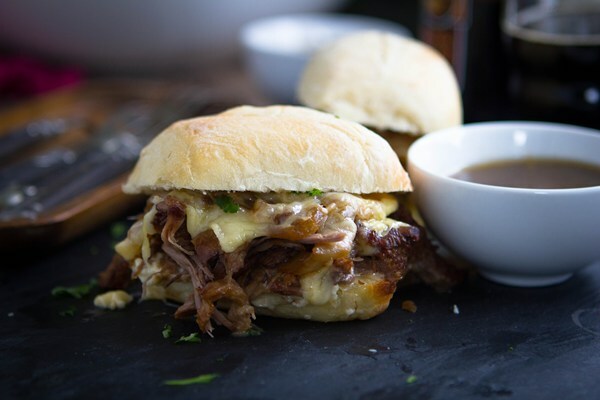 Hearty and filling, this beefy sandwich will have the whole house smelling of warmth and comfort. What a great treat after an afternoon out in the cold! 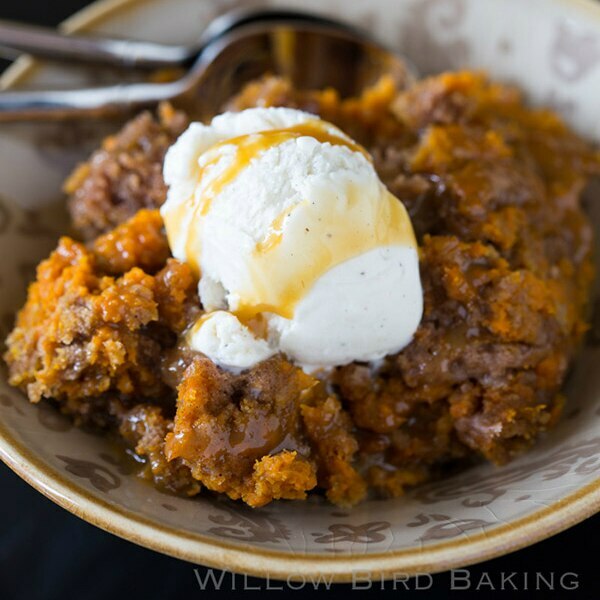 Three ingredients and a slow cooker are all you need for dessert perfection on an icy winter night! You won’t even need to dirty a mixing bowl for this simple cake. 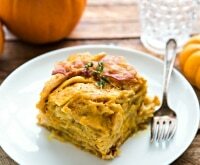 Pair it with ice cream if you’re not too cold for an even more decadent dessert.